Polynesians were the first to travel to and inhabit Hawaii, though there are several opposing theories about their initial migration. The European discovery of the islands was made by James Cook on his voyage to discover the Northwest Passage, and he dubbed them the Sandwich Islands (after the Earl of Sandwich). Hawaii was united in 1810 under Kamehameha the Great, and became known as the Kingdom of Hawaii. Many outside powers influenced the islands during these years, including Russia, France, and Great Britain. In 1875, the Kingdom of Hawaii and the United States signed the Reciprocity Treaty, which allowed duty free importation of Hawaiian sugar and rice to the US. In exchange the US gained Pearl Harbour and the surrounding 6 km (4 miles), free of cost. American and Hawaiian plantation workers revolted against the increasingly unpopular Hawaiian monarchy in 1887 with the assistance of US troops. The revolt resulted in a new constitution, limiting the monarchy’s power and lessening its sphere of influence. In 1893, the unpopular Queen drafted a new constitution in an attempt to increase her power; meanwhile, a group of residents were plotting to overthrow her reign. The US government sent sailors to impose the Provisional Government of Hawaii to maintain order over the islands once the queen had been dethroned by revolutionaries. President William McKinley signed the Newlands Resolution in 1898 which annexed Hawaii, despite opposition from the Japanese and some Amerocans. At the start of WWII, the US identified itself as a neutral nation. However, on December 7, 1941, Pearl Harbour was attacked by the Japanese to prevent future US involvement in the Pacific. This surprise assault prompted the US to enter the war on the side of the Allies, the eventual victors. Backed by popular support, President Dwight Eisenhower signed Hawaii into statehood in 1959, making it the 50th and final state admitted to the US. 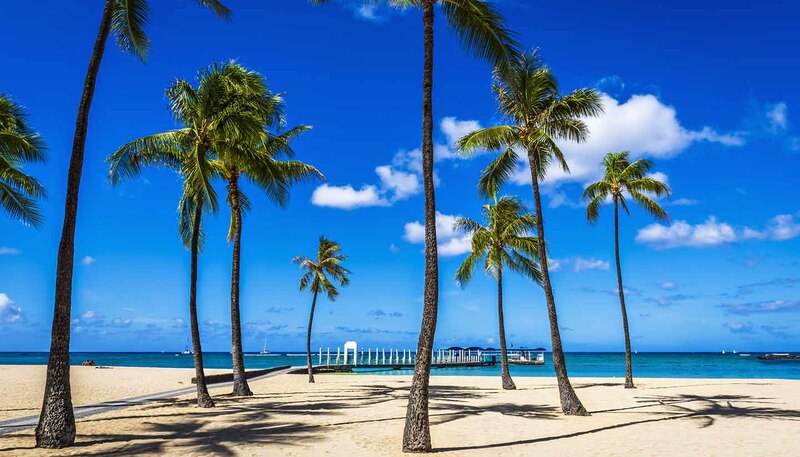 Since gaining statehood, Hawaii has become a popular tourist destination known for its good climate, pristine beaches, and phenomenal surfing. In Hawaii, the majority of residents are Christian; Roman Catholicism and Pentecostalism are the two largest denominations. There are also a fairly large number of Mormon residents and those who affiliate with Eastern religions, such as Buddhism or Hinduism. Only a small number of residents practice the traditional Hawaiian religion originated by the ancient Hawaiians. Leis are often handed outout, and available on arriving at the airport, as a gesture of “aloha,” or hello, in Hawaii. They can also be used as congratulations. The gifting of a lei is usually accompanied by a kiss on the cheek. It is customary when entering someone’s home to remove your shoes and leave them outdoors. Not doing so is considered rude and disrespectful. Similarly, referring to the continental US as “The States,” is also found highly insulting because it implies that Hawaii is not considered a state. Hawaii has two official languages, the first being English and the second Hawaiian. Hawaiian, however, has been largely overtaken by English as the predominant language used in everyday speech.